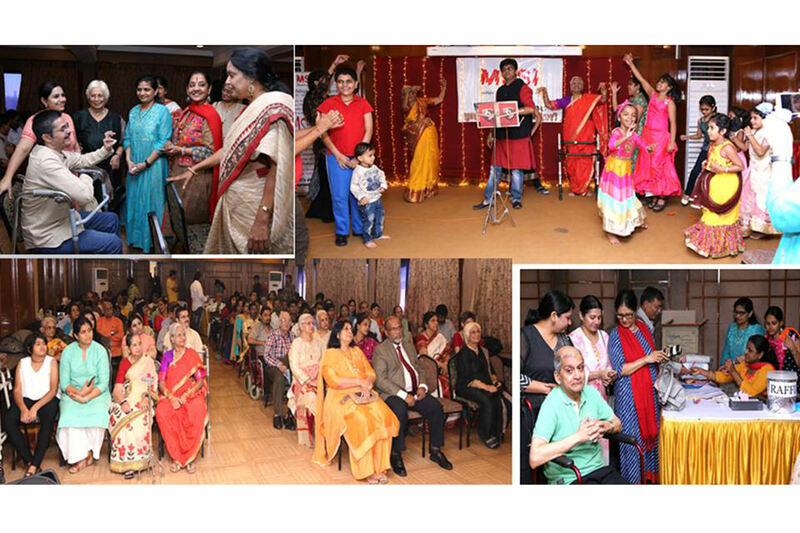 MSSI Mumbai celebrated Diwali festival with MS Families& friends on 28th Oct, 2018 from 4 – 7.30 pm at Shanmukhnanda Fine Arts, Sion, Mumbai. 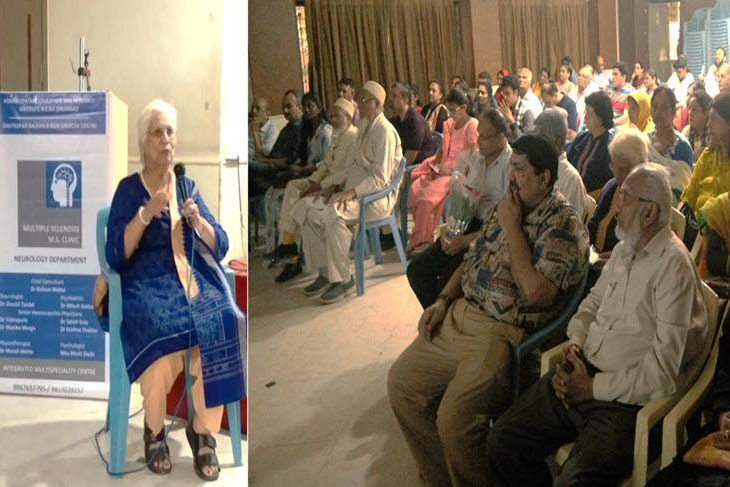 A total of 160 persons attended. Each MSP or their family were given 4 T-shirts & a sweet box as a Diwali Gift. All guests were given sumptuous snacks boxes. 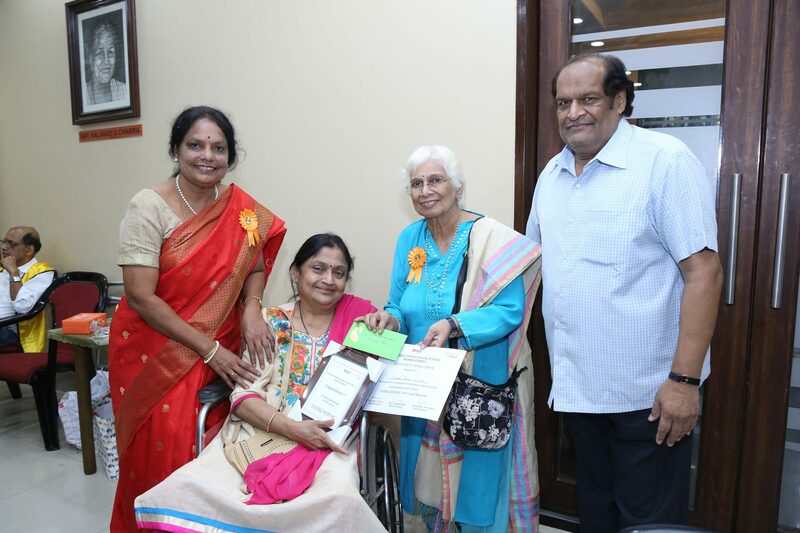 Mrs. Sundari Raju, Hon Jt. Treasurer welcomed all & sang the Ganpati Vandana. 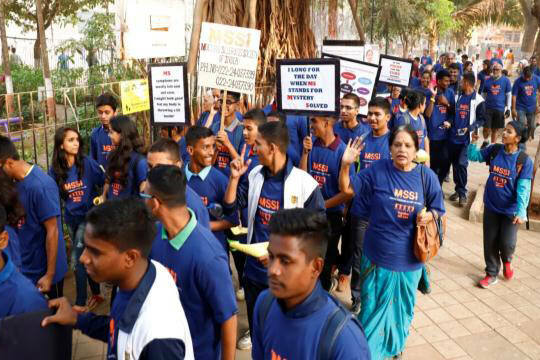 Vice Chairperson Sheela Chitnis gave a brief message requesting all MS families to get involved with MSSI work. She then introduced the new Managing Committee & they were presented with Tulsi Plants. Dr. Rekha Bhatkhande, Hon. Sec. requested MS families to avail benefits of Shushrusha Hospital Project. 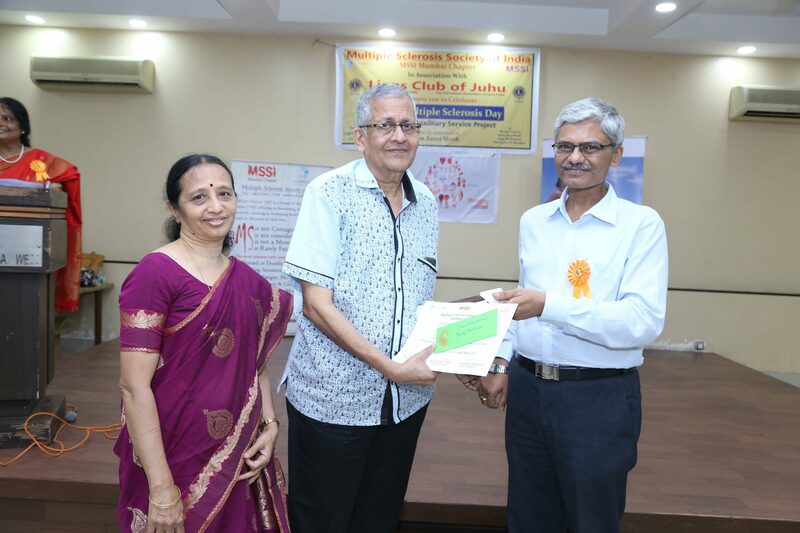 Sandeep Chitnis, National Vice President & Chairperson, Mumbai informed all that Multiple Sclerosis is now included in the newly passed Disability Act & offered MSSI’s help to get new Disability Certificate for various benefits to MSPs. He then introduced Chief Guest of the evening, Dr. Debashish Das and his wife Nayana. Dr.Das of Das Hospital, Chembur, is a famous Laparoscopic & General Surgeon. Dr. Das with his inspirational speech for a positive outlook in life encouraged all. Diwali Dhamaka started with Lavani dance by MSP Sudha Kulkarni. & dances by truly adorable children of MSPs. Then Our Guest Mandar Parkhi, popular Composer, Singer, Pianist, captivated the audience with his marvellous voice. Children & even others joined him in dancing on stage. Tulsi plants were given as Tokens of appreciation to all participants. Then the much-awaited Raffle draw started. Distributions of Prizes from the Raffle draw were presented by Dr. Das. All went home with a Smile on their faces & Gifts in their hands. 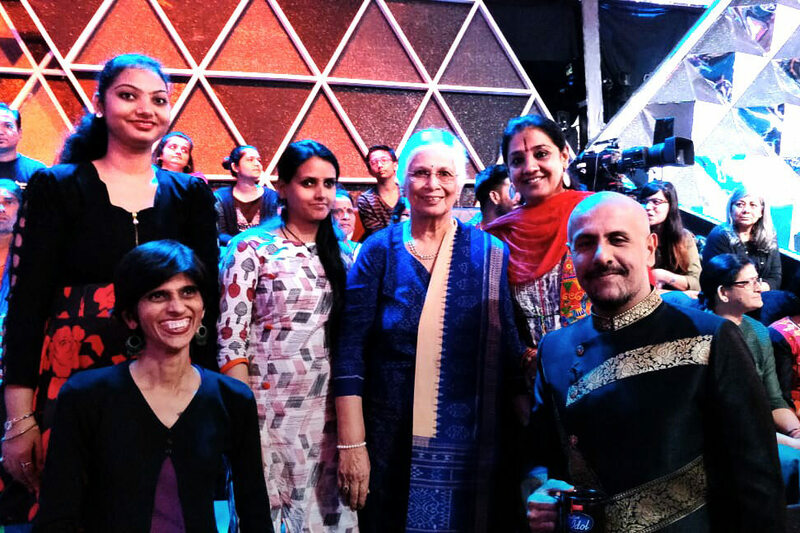 MSSI Mumbai visits Yashraj Studios on the sets of India’s one of the most popular singing reality show INDIAN IDOL. 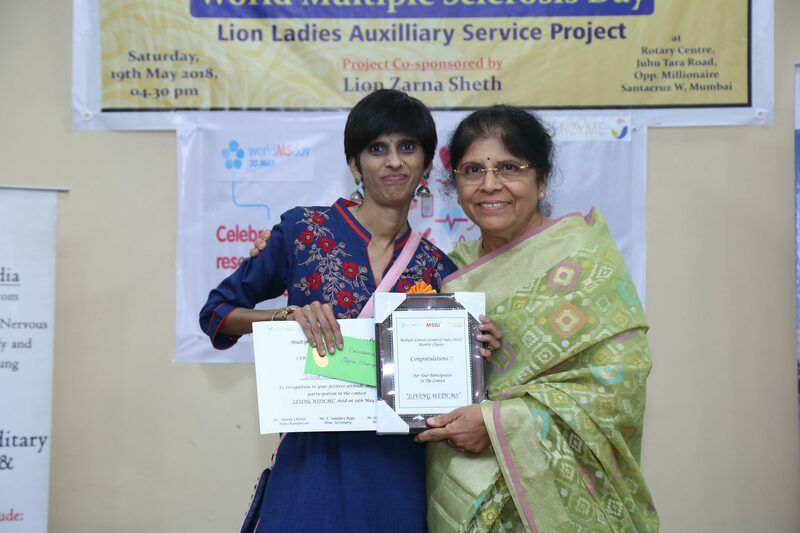 MERA SAPNA Project aims at fulfilling the small Dreams of our MS friends, which the overburdened caregiver may not be able to accomplish. On Tuesday 18th Sept, MSSI Mumbai visited the sets of singing reality show INDIAN IDOL Season 10. 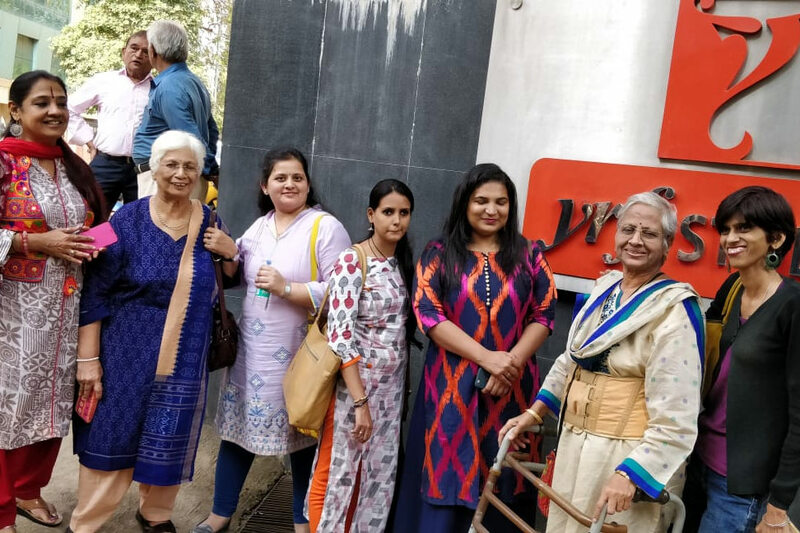 It was an ardent wish of few of our MS friends to meet the eminent judges of today’s most popular singing reality show INDIAN IDOL which is being telecasted on Sony Entertainment Channel. We were very fortunate that Vishal Dadlani; Music composer, playback singer, music record producer, lyricist, and performer, invited us on the sets of Indian Idol. We also met today’s young sensational Playback Singer- Neha Kakkar. 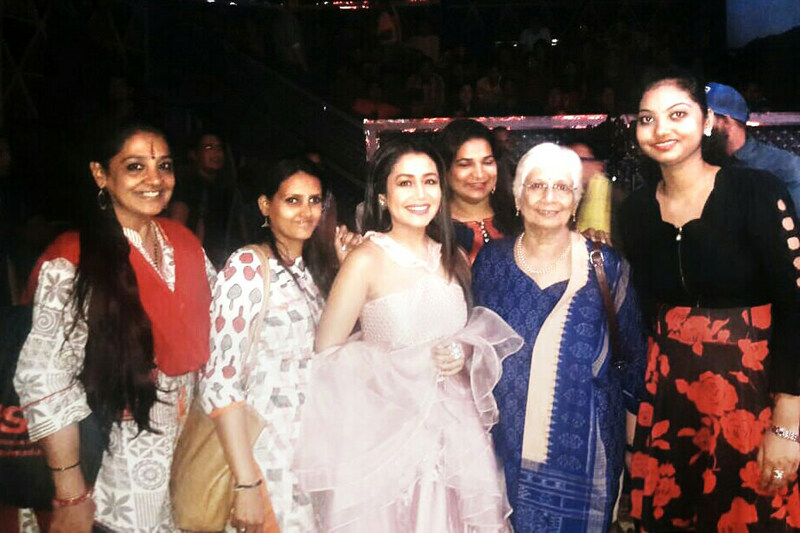 It was a good interaction with the Celebrities & later we were asked to join as an audience in the show. All MSPs were very thrilled as it was a dream come true for all of US. We are very thankful to Vishal Dadlani for always supporting our cause. 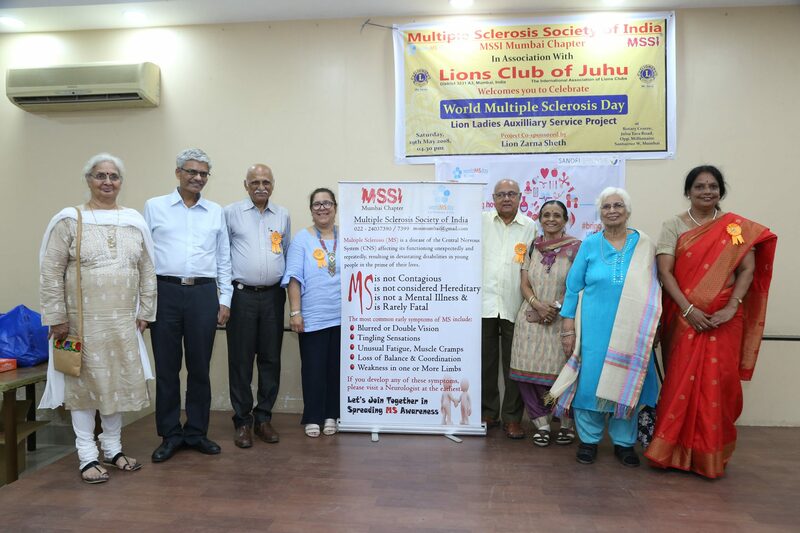 On Occasion of observing World MS Day ,MSSI, Mumbai along with Lions Club of Juhu, had organised a Rejuvenating Evening on Saturday 19th May, 2018. Time: 4.30 pm- 7.30 pm at Rotary Club of Juhu, Mumbai. In all 160 people including 36 MSPs were present. 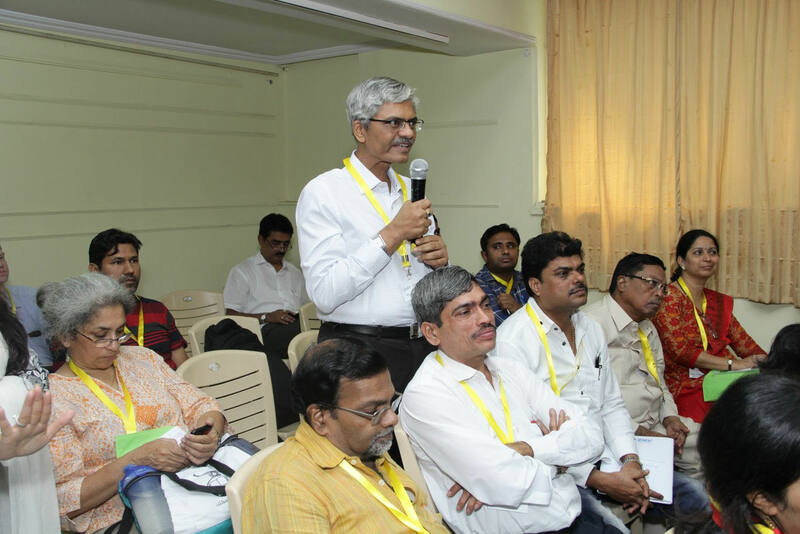 The first Event was Brain Yoga & Laughter Therapy by Mr R. Kumar Bhat. A qualified Aerobics instructor. He made everyone to participate in different forms of Laughter Exercises. 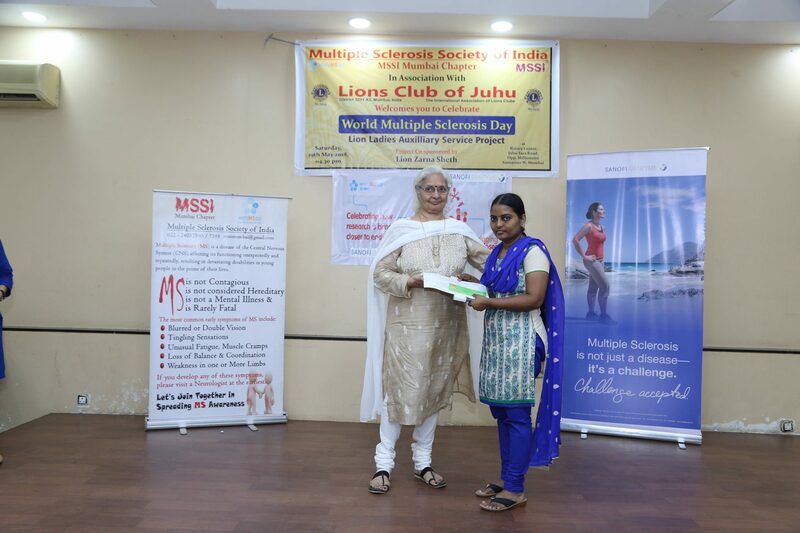 On this World MS Day, MSSI Mumbai Chapter had organised a Writing Competition. 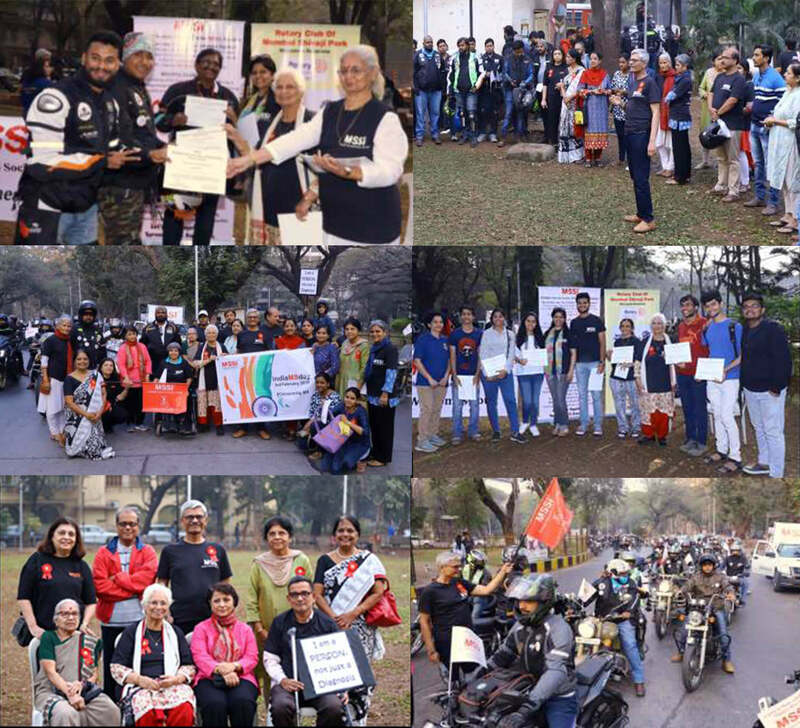 We had invited stories, essays & poems from MSPs & Caregivers on the theme “LIVING WITH MS” . 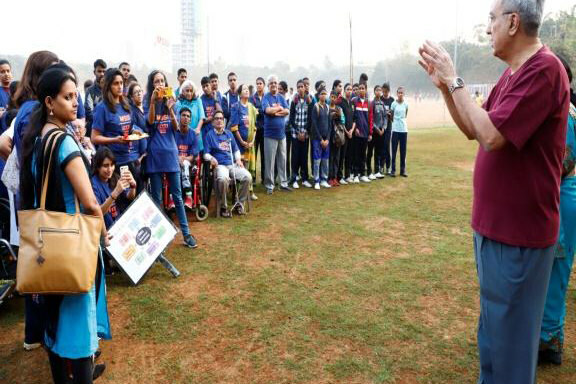 We received tremendous response.In all there were 56 entries from all over India. The main highlight of the evening was Prize Distribution. 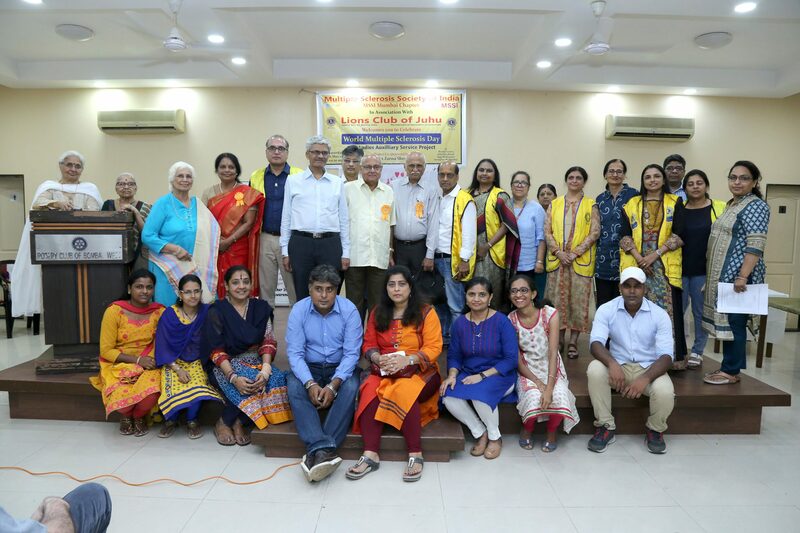 We were fortunate to have two well known Judges from literary field: Mr Nilu Damle ; Journalist, Author& Critic & Mrs Anjana Karnik ; Author & Poet. Both the Judges were touched by the inspirational Articles written by MS patients & it was quite difficult for them to choose the winners. Ultimately 14 participants were selected as Winners from 56 entries. They were given cash prize of Rs1000/- each. All the 56 participants received a Certificate of Participation & a gift of beautiful Photo frame. ​ By year end , we would like to ​compile the selected Entries in a book. 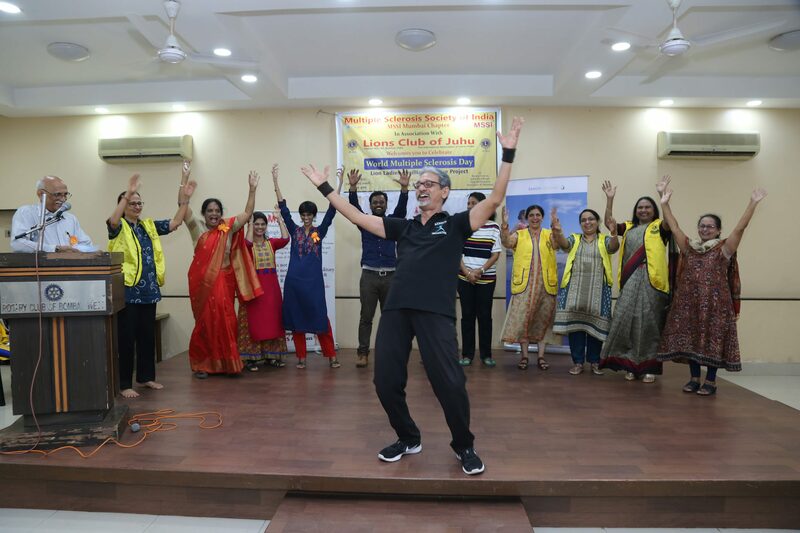 The Program ended with relaxing Music Therapy– By Ashish Kasbe. 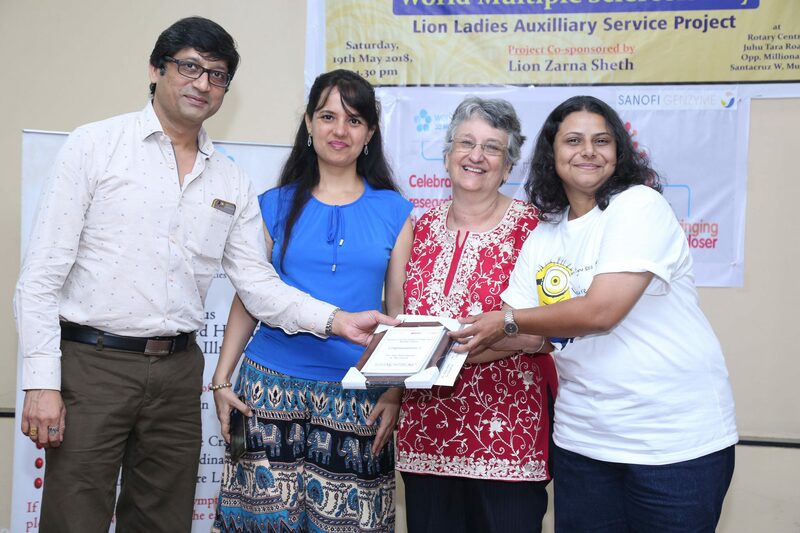 – Music Therapist.On behalf of Lions Club, Mr Hiten & Zarna sponsored delicious refreshments to all present. They also paid the rent of the hall and made all the necessary arrangements to make this Program a big success. 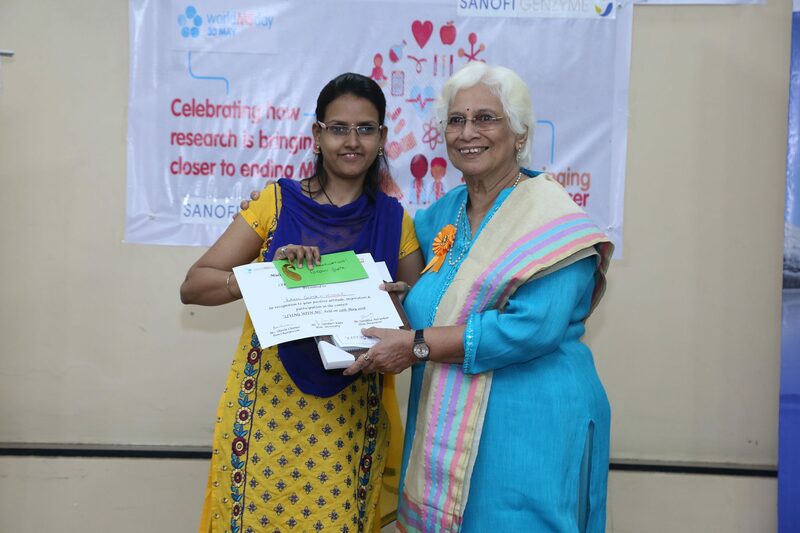 We thank Sanofi India Limited for partly supporting the Program. Last but not the least we thank all MS families, Managing Committee Members & MSSI Team. 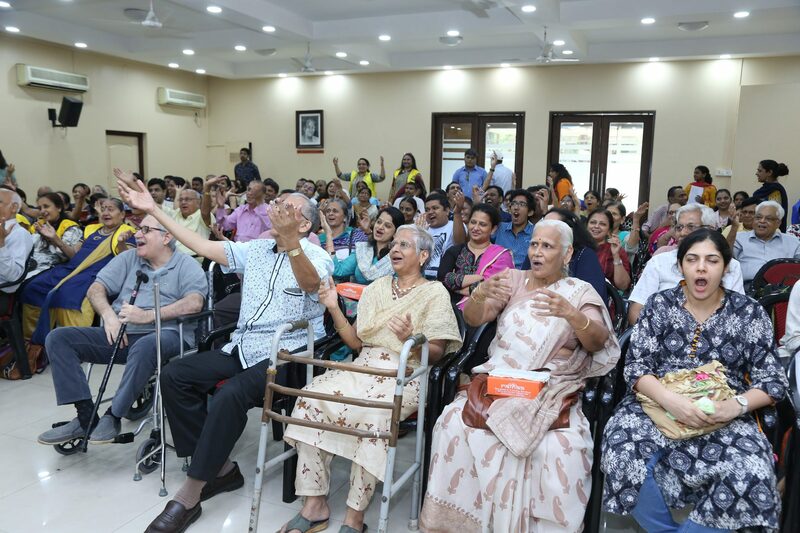 The program of opening of free MS clinic by Dr Kishore N. Mehta, well-known & leading homoeopathic practitioner was very successful which was attended by more than 100 participants including neurologist Dr Tandel, many homoeopathic doctors, MS families & public. 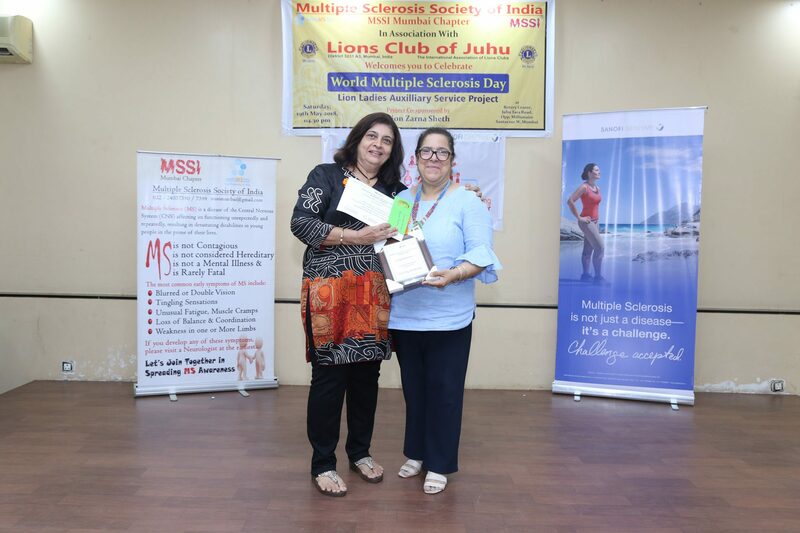 Dr Sheetal welcomed all the participants and gave the idea of purpose of this function about helping the MS patients with free treatment or with minimal charges. Dr Mitesh narrated the reasons for opening MS department at Balkan-Ji-Bari, ground floor hall, Balbhawan road, opp. Rajawadi garden, Ghatkopar East Centre. 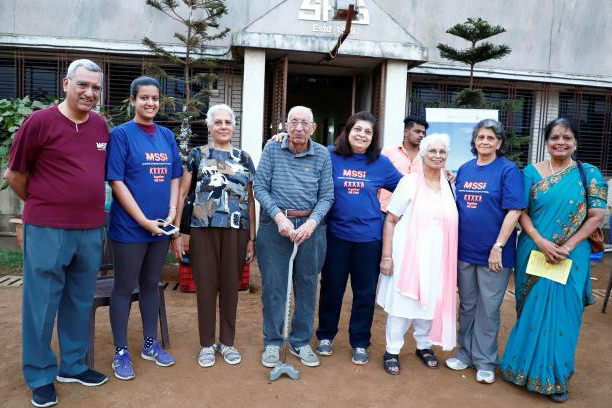 Dr Kishore Mehta explained as to what inspired him to take up this project, since he has already been treating a number of MS patients with a good degree of improvement of their MS symptoms. 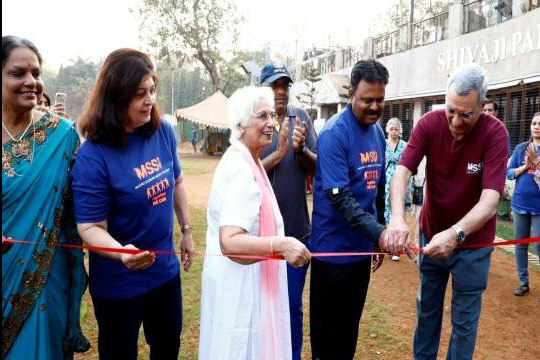 Mrs. Sheela Chitnis, founder member of MSSI & current chairperson described various welfare projects of MSSI Mumbai chapter with the help of power point presentation. There were many questions from the audience which she replied in detail. 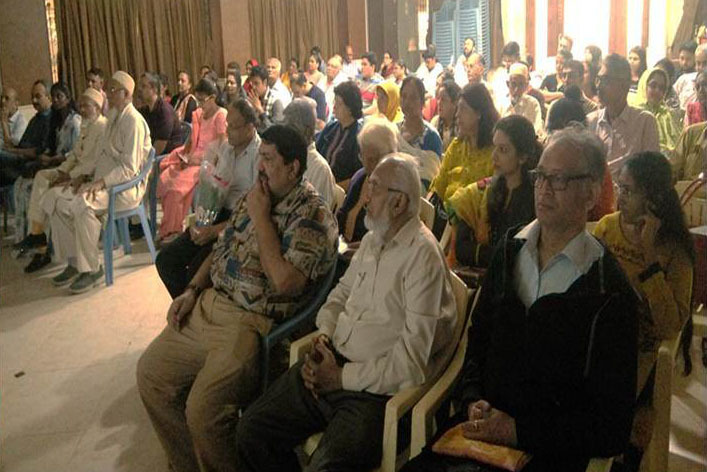 After the inauguration, the homoeopathy camp was held of which many patients took advantage. 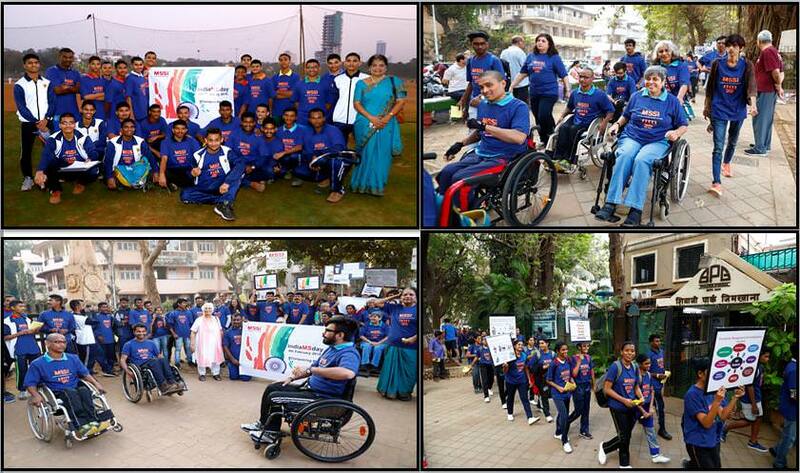 Trinayani founded by Ritika Sahni in the year 2006 works towards Disability Awareness and Support. 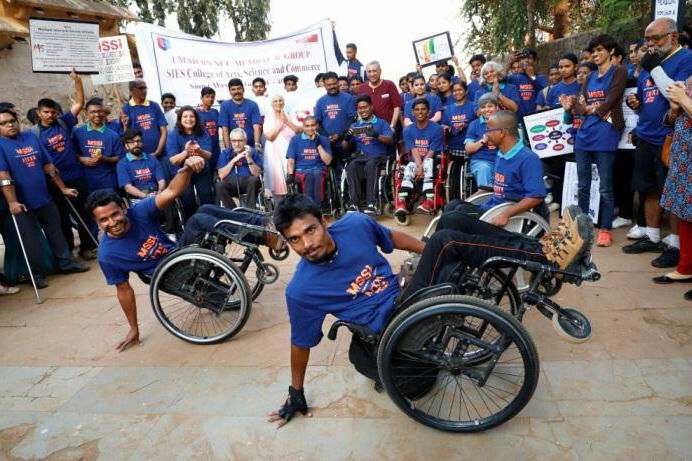 Their mission is to empower persons with Disabilities. 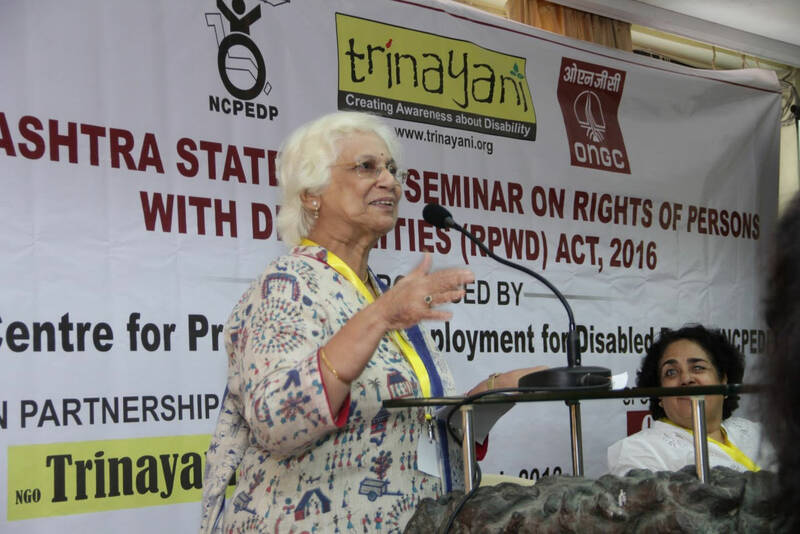 The National Center for Promotion of Employment for Disabled People in partnership with Trinayani had organised a free one-day Seminar on the RPWD Act on Saturday 10th March 2018 from 9.00 AM to 5.00 PM at Prabhodhan Thackarey Krida Sankul, Vile Parle East, Mumbai. It was a State level seminar. 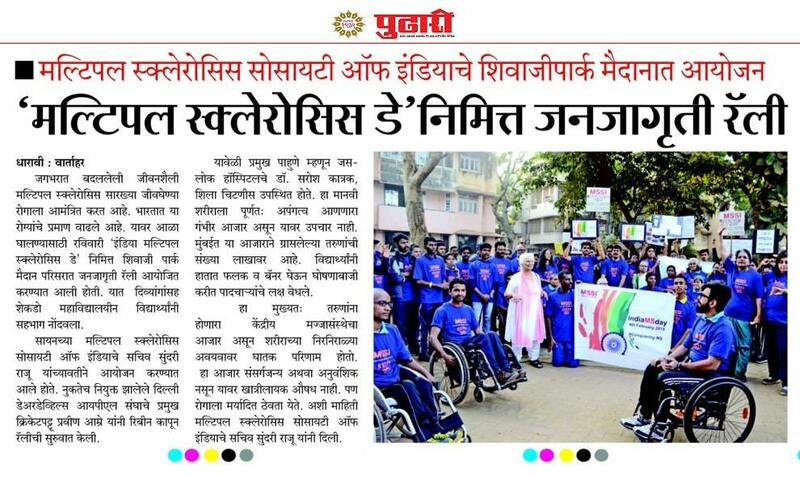 On behalf of MSSI, National Hon Vice President Sandeep Chitnis & National Hon.Jt Secretary Jyoti Ronghe were present. Also from Mumbai Hon. Chairperson Sheela Chitnis, Hon. 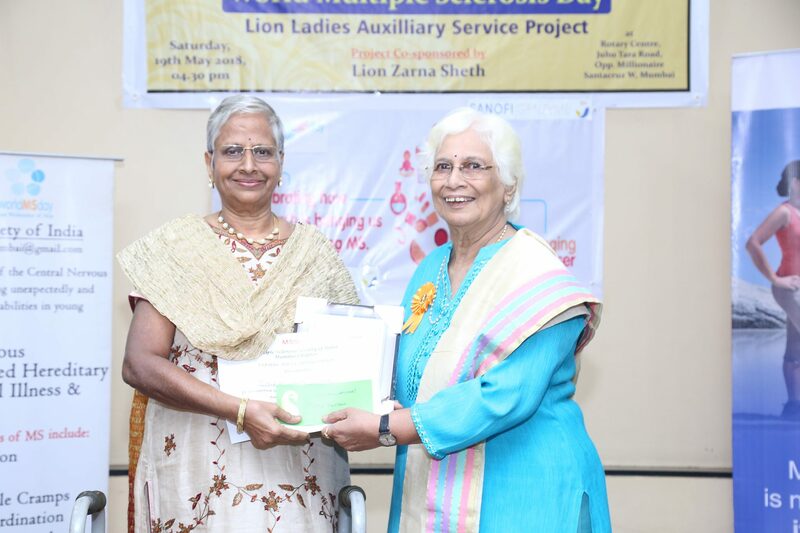 Treasurer Surekha Nerurkar & from Pune Asha Merchant were present. 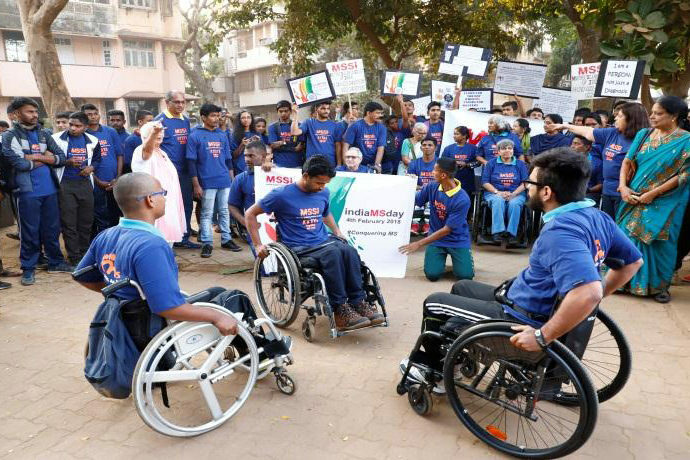 The Rights to Persons with Disabilities Act was passed unanimously in the winter session of the Parliament. The objective of the Seminar was discussion on the prominent features of the Disability Act and its implementation. 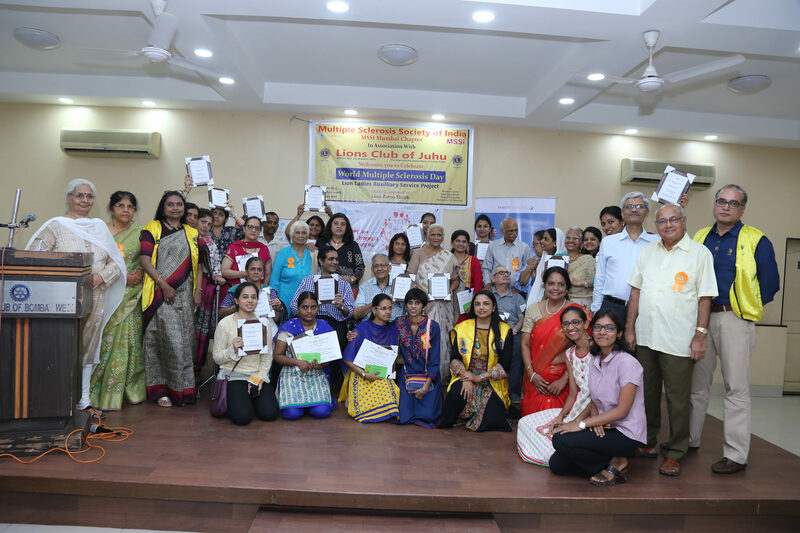 The first session of the Seminar on understood salient features of the newer Disabilities included in the Act. 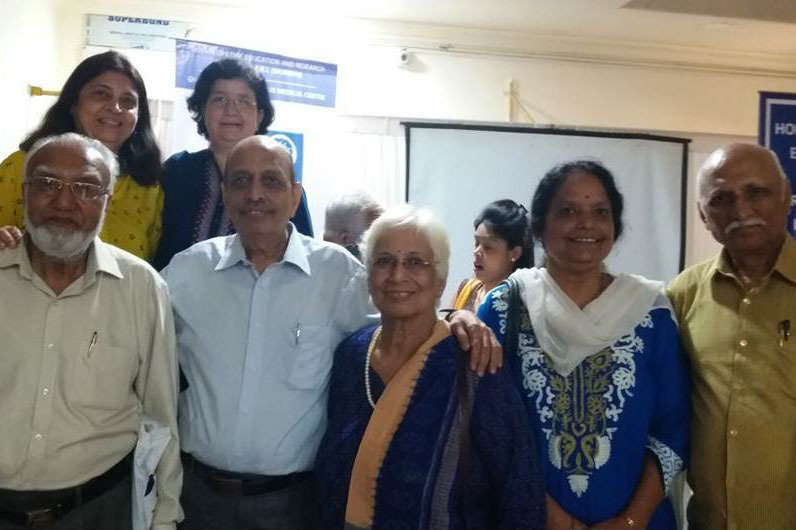 MS being newly included in the Act, representatives of MSSI were invited & Sheela Chitnis was invited as a speaker. 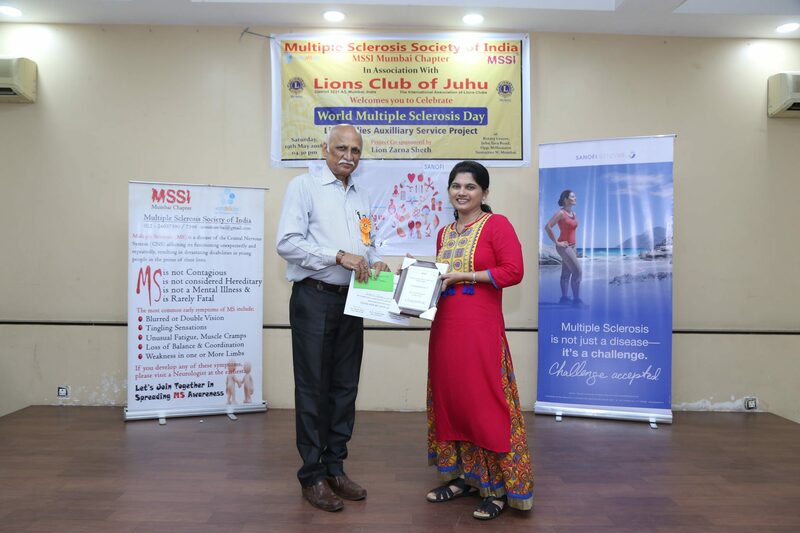 She gave a presentation on problems faced by MS patients in general & what the MSSI is doing to make their lives better by various welfare projects & by MS Awareness projects for general public. She emphasised for the need to create a barrier free environment & to ensure that they get proper support they deserve from the community at large. Prof. Dr. Jurg Kesselring, Professor of Clinical Neurology & Neuro Rehabilitation, at University of Bern, Zürich​ & is Head of the Neuro Rehabilitation Centre at Valens, Switzerland. He is also the Chairman of WHO Working Group on Multiple Sclerosis & is former President of MS Society of Switzerland. 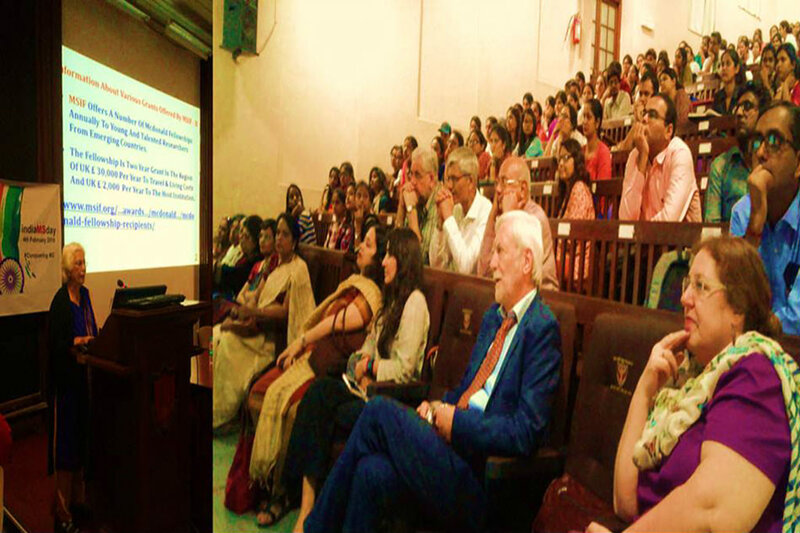 In association with KEM Hospital , MSSI Mumbai organised a Medical Seminar with Dr. Jurg Kesselring for Medicos & Para Medicos at KEM Hospital on 9th February 2018. 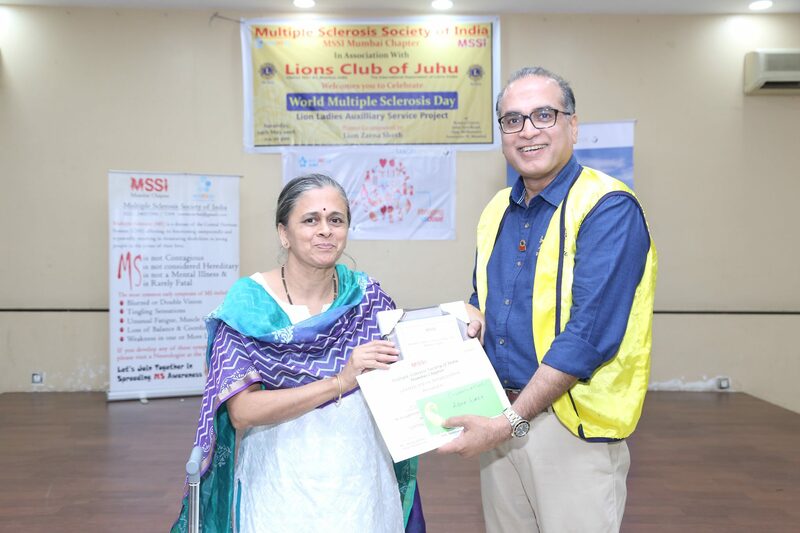 Mrs Chitnis gave a brief presentation on the services of MSSI. Dr. Kesselring gave a Presentation on Rehabilitation in MS. . It was a very interactive & informative session for the young Medical Fraternity. 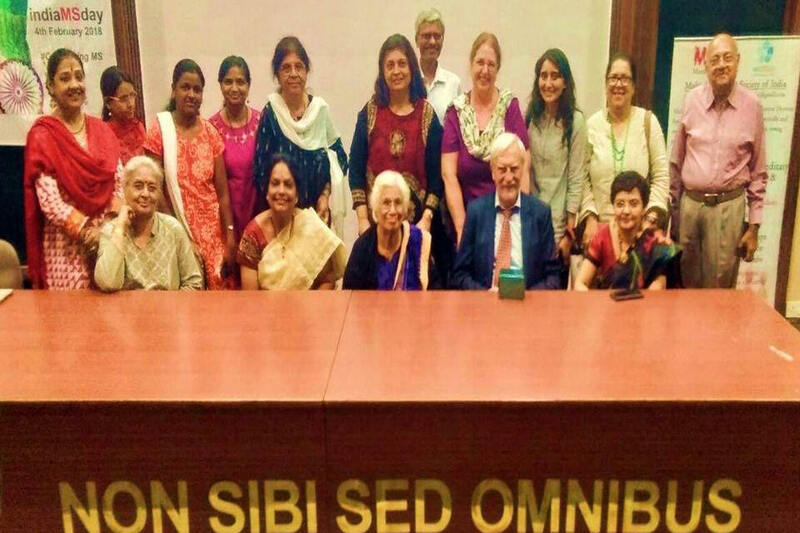 On Saturday 10th Feb 2018 from 10.00 am to 12.00 pm.​ The second Program with Dr Kesselring was at the World Congress for Neuro Rehabilitation (WCNR) where President Dr.Nirmal Surya had allocated MSSI a 2 hours Session at Public Forum Section for PwMS & families. In all 100 people were present including MS families. After Prof. Dr. Jurg Kesselring’s motivating presentation on “Rehabilitation in MS” there was a panel discussion. This was followed by an active interaction with the audience.